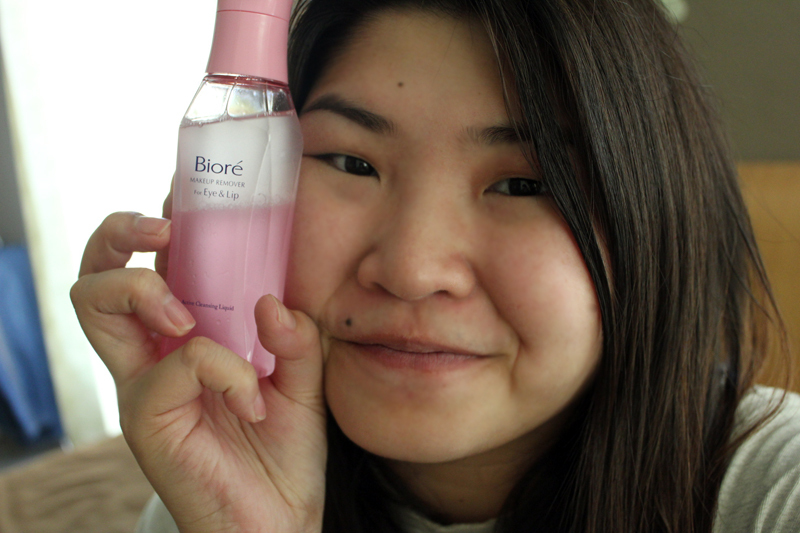 Today I will be reviewing the Biore Makeup Remover For Eye & Lip, courtesy of Kao Malaysia. It's a eye and lip makeup remover that removes heavy makeup such as waterproof mascara, waterproof eyeliner, glitter eye shadow and fake lashes as well as lip balm, lipstick and lip gloss. We all know that it's such a pain to remove waterproof eye makeup. Sometimes I get quite aggressive trying to remove what's left of a waterproof eyeliner on my lids that I throw out the window "thou shall be gentle on thou eyes" girl's rule. 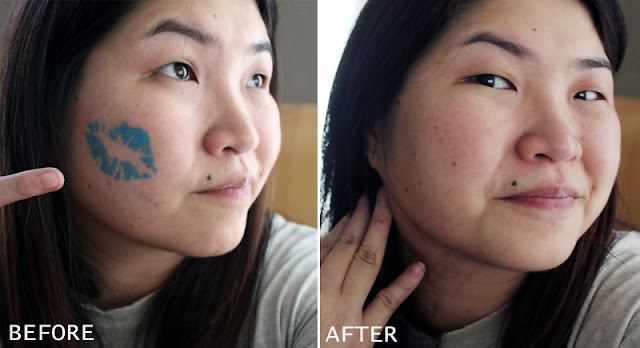 "no more excessive wipping and tugging"
So it was quite pleasant when I receive a package from Kao Malaysia to review their eye & lip makeup remover that not only cut down time on removing heavy eye makeup, it also cuts down the process of removing! (and prevents girls like me who turn aggressive when their eye makeup is not removed in a few seconds). A bit about the product. 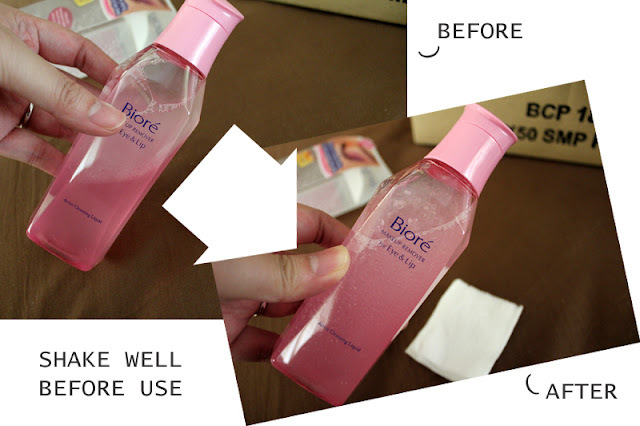 The Biore Makeup Remover for eye and lips is a premium product specially formulated to remove heavy makeup, multi-layered makeup from delicate areas of our eyes. Unlike other double-layered removers, it contains a special Micro Cleansing Formula which softens and effectively lifts off all traces of heavily-layered makeup. This special formula works by giving more even dispersion when shaken, for improved cleansing performance. Hence, less wiping is needed on delicate eyes & lips where excessive wiping and tugging at these delicate areas can damage the skin, causing wrinkles or contributes to eyelashes being weakened and then fall. dermatologically and ophthalomologically tested to be safe on skin, eyes and lips. The packaging is girly pink, which I love! It's tight cap, clicks opens with a flip. The instructions says to shake well before use, so the liquids are mix and ready for your cotton pad. 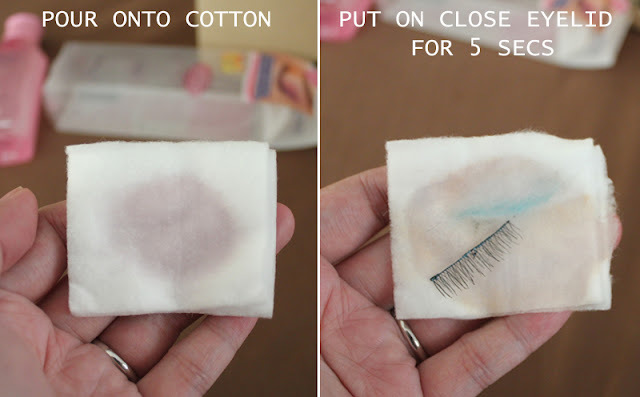 Just close your eyelids and place the cotton pad on for 5 seconds. Gently cleanse mascara downwards from root to eyelashes to tip. Repeat again but this time upwards fromt root to tip of eyelashes. Fold cotton pad, cleanse lower eyelid and under eye area gently. Repeat for the other eye using a clean cotton pad. Use another cotton pad to cleanse lip color. My verdict on the product. I knew by seeing the double layered liquid I had to shake it before using but what I didn't expect was how fast it worked! Granted the formula must be powerful enough that my waterproof eyeliner was removed effortlessly in a few wipes. However the first wipe is the most crucial in determining how well an eye remover product would work. My first wipe removed almost all my blue eye shadows and even my false eyelashes! Normally false eyelashes would take a few wipes and gentle massage to remove (sometimes I have to peel it off) but in this case, it came off after 5 seconds of placing on my closed eyelids and then gently removed in a wipe. Impressive I must say! easy, fast and moisturizing on the skin. The downside? do not open your eyes immediately after wiping, give a few seconds before you open your eyes so that the remover would not sting. Swipe off fake eye lashes, smoky and glitter eyes plus colored lippy easily in a jiffy! 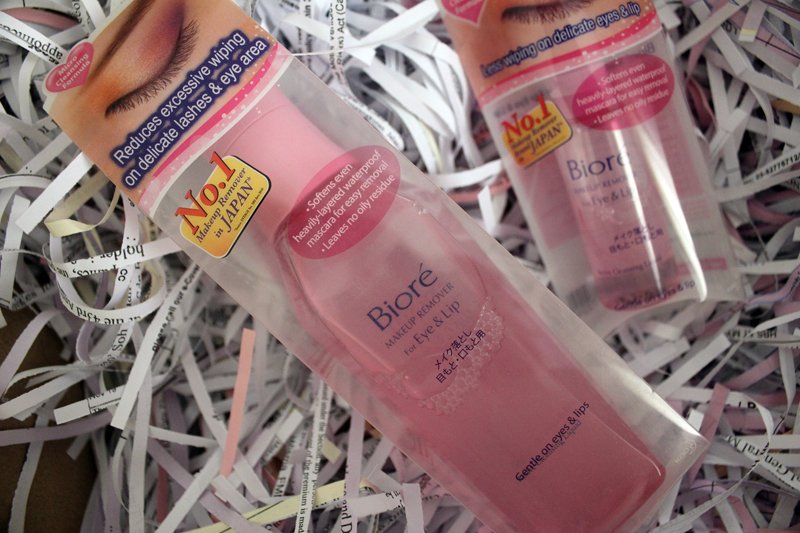 Biore Makeup Remover for Eye and Lips comes in 130ml bottles priced at RM29.90, available exclusively at AEON Wellness, Caring Pharmacy, JUSCO, SASA and Watsons. Now that you have read what I have to say about the Biore Makeup Remover for Eyes & Lips what say you try it for yourself? 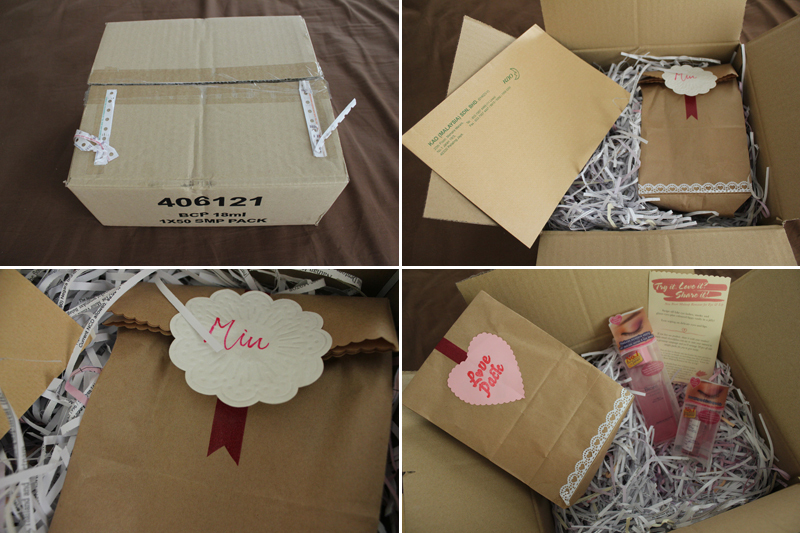 Thanks to Kao Malaysia, the first 30 followers to comment will get cute sample packs delivered to their homes! All you need to do is to comment whether you like my review and that you want to try it too. *Open to Malaysian followers with valid Malaysian address only. thanks Laura! did u enter for the sample? 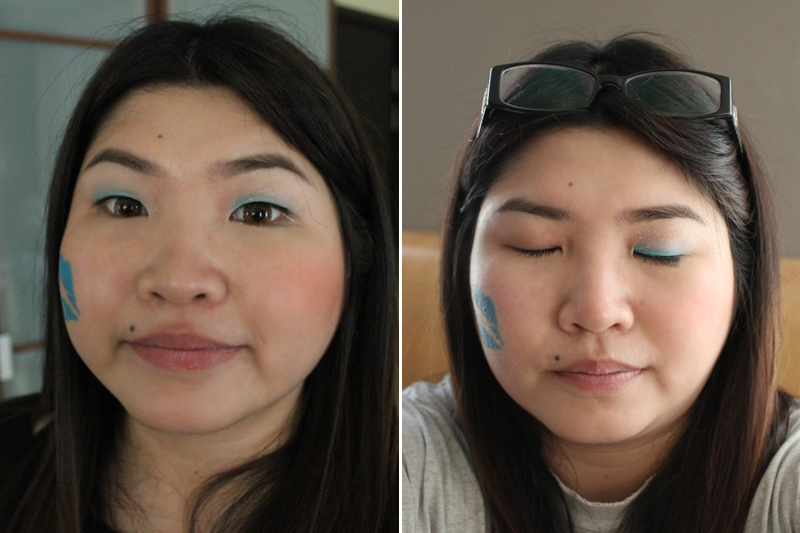 i hardly use make-up, yet you've made me wanna buy a bottle for those once-in-a-blue-moon occasion. LOL! Ohsem! Im using the wet tissue one! Nice! Look so easy to remove ler! I want to try also! i have not come across a cleansing oil that can even take off the falsies adhesive glue!!! i wanna try this then! yeah amazing! i wonder if it works for other types of glue? let me know if your falsies is comes off in 1 wipe! 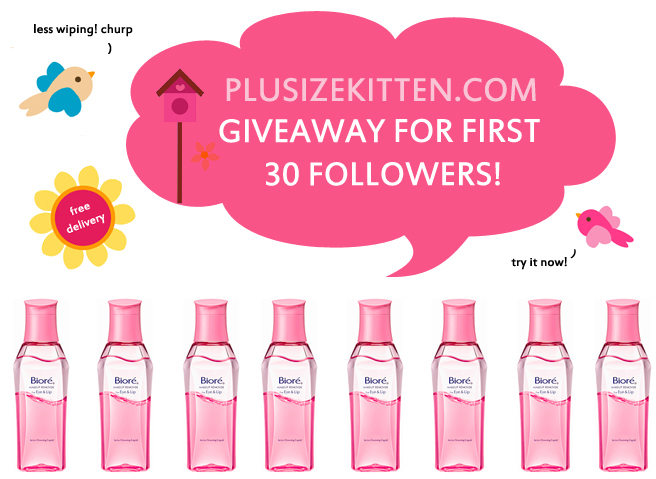 i want to try user friendly cleansing oil! try :) it's powerful actually! email u! got blue oil based? O_O! that's interesting!!! i emailed u! I like your review, I hope to try it. Would love to try this! hope it goes well on clean up my thick gel eyeliner tooooo! I like pink in bottle. And would like to try it on my face! I never try this but I did try on their cleansing oil cotton wipe. You're no.16 :) emailed u! Very straight forward and informative review! Keep it up. i wanna i wanna this amazing product! no.22 follower!! :D emailed u! Love the review, thanks for the info. I've always wanted to try this makeup remover but I haven't had the chance. Hi there, great review and i wanna try it too!!! no.28! :D thanks dear!! emailed u! pls reply my email yeah!!! Hi Thian so sorry, I've got the first 30 submissions already. Great review I would love to try this product. thanks everyone!!! I'll be compiling the first 30 list and send email to u guys :) to get your address! Check out our blog for original makeup at lowest price than the store itself!